Apple has taken more than one and half months to come with a latest update, and finally iOS 9.3.2 is here to all users from 16th of May 2016. As expected iOS 9.3.2 has come with number of fixes and improvements. At a glance the update looks significant, so we thought of sharing important facts about the latest release of Apple and all you need to know about download iOS 9.3.2 on your iPhone, iPad or iPod touch. iOS 9.3.2 came more than a month after iOS 9.3.1 release, but with more fixes and improvements. The pre released iOS 9.3.1 has also released targeting fixes specially reported under iOS 9.3, so iOS 9.3.2 has now arrived aiming the rest, to make iOS 9 platform stable before iOS 10 comes to view in June. In addition to above you can get more details about the latest iOS 9.3.2 update including its security improvements by visiting Apple’s support page. Even though iOS 9.3.2 release note has not mentioned anything about Night shift and Low power mode option to function at the same time like its beta versions revealed, it has allowed the feature in iOS 9.3.2 release. 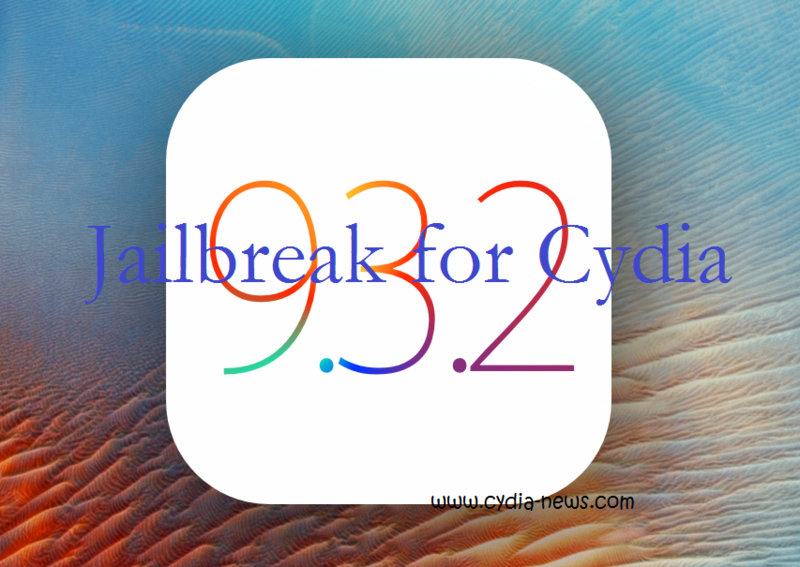 How iOS 9.3.2 affects the Jailbreak crowd? At the moment jailbreakers should avoid getting iOS 9.3.2, as still iOS 9.3.2 has no jailbreak rights. So if have a jailbroken iDevice, be stick to the iOS version that you are running until this iOS update comes with supportive facts to iOS 9.3.2 jailbreak. Even though iOS 9.3.2 does not pack additional features, it does contain important fixes to iOS 9 platform, so download iOS 9.3.2 will make you free of some buggy conditions you faced with iOS 9 so far. In that iOS 9.3.2 has come in the right time to serve iOS 9 platform, as we at a stage of getting iOS 10 very soon. As iOS 9.3.2 came recently, downgrading is still possible from iOS 9.3.2 to the pre released iOS 9.3.1, so until Apple make the closing note to downgrading you can come back to iOS 9.3.1 if you are not happy with Apple’s latest iOS 9.3.2 release. As a jailbreak enthusiast user, it is not easy to stay for a new jailbreak tool which will make us closer Cydia download. But because of present iOS 9 series, we have to be there for tools since it started the journey from iOS 9 download. It is unusual and inconvenient of being for these tools while Apple continue their series with new iOS versions. And now, it is the same situation as we are waiting for the jailbreak iOS 9.3.2. What is the reason we need a jailbreak tool? As most famous jailbreak teams such as Pangu and Taig are from China, they have explained why they need to please users. It is not because of any things else, just to expose applications for users to make the device one of their best equipment. It is the reason they just don’t collect users only from their country. They need to make jailbreak a global process that make interesting use an iDevice. Although most countries are not recommended this as a legal process, users practice to looking for each and every when there will be a new iOS launch. The tool that users able to use as the highest jailbreak for iOS versions is Pangu download. This is the tool that compatible with four versions that started from iOS 9.0 and recently include iOS 9.1 as well. Therefore, this tool already accessed two prime versions and some other two followed versions of the entire series. 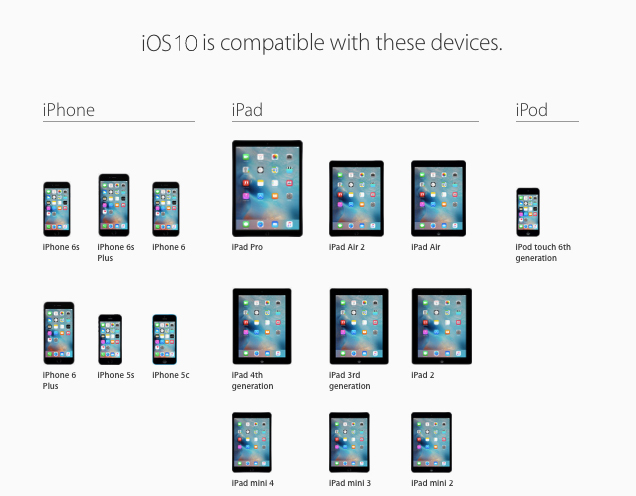 When the team Pangu improved the tool, it has to do some changes even on compatible devices. So this changed the usual jailbreak way of iOS versions and you will be able to continue same conditions all the series through until it will change with a remarkable one in the future. However, the tool can download Cydia for you on any assorted iPhone, iPod touch or iPad. What are the left versions to jailbreak from here? Although above tool already accessed iOS 9.1 as well, any version after iOS 9.2 cannot reach Cydia. Therefore, this is the accomplishment which is the jailbreak community need to let their users to handle the variety of apps that they won’t ever have with any other way. Anyhow, all versions that must include for the next tool are iOS 9.2, iOS 9.2.1, iOS 9.3, iOS 9.3.1 and iOS 9.3.2 for Cydia download. Although iOS 9.3.2 download too has to welcome and just there as a beta version, all are interesting to talk about this as most thing that this is going to be the end of iOS 9 season. Because June is the month of Apple to start a brand new series with their annual Conference. As most are reporting of the two famous teams Pangu and Taig, we too ask our users to stay there for news of any movement of the jailbreak community. Although we cannot certainly say that the team of next release, we surely confirm it must be one of above named with the experience of recent launches. Can pangu catch up the latest iOS release with Pangu 9.3.1? What do you think about the next upcoming jailbreak solution and its real owner? Meantime, lots of jailbreak fans are urgently awaiting to hear about iOS 9.3.1 jailbreak tool release, there are so many web sources discuss about latest rumors and reviews of next jailbreak tool. However, when we talk about its owner, some may be waiting for a new jailbreak from Pangu as pangu 9.3.1. But as you know that the last one they were released for the iOS 9.1 in last month. It does not mean, iOS 9.1 pangu jailbreak is their final tool and they will never give up. If we are lucky, pangu 9.3.1 will be able to catch up the latest iOS releases. Pangu seems that to be having trouble coming up with a jailbreak for iOS 9.2 and above. 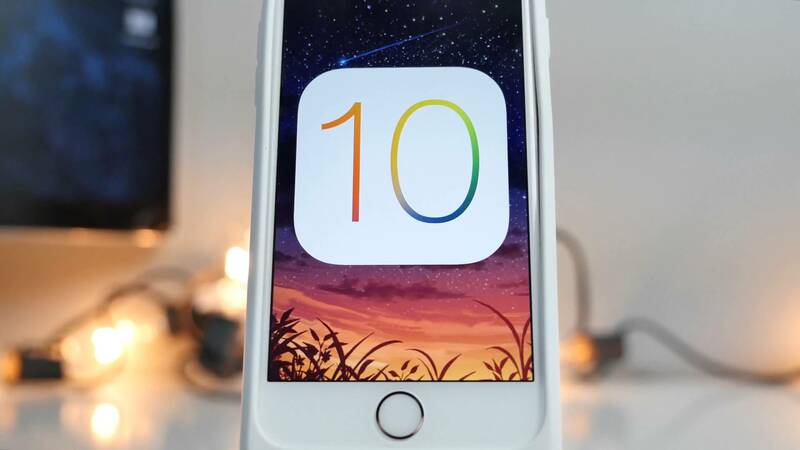 After pangu jailbreak released for iOS 9 to iOS 9.0.2, apple has released all above iOS versions to iOS 9.0.2 with new security techniques expecting to kill jailbreak possibility from them. 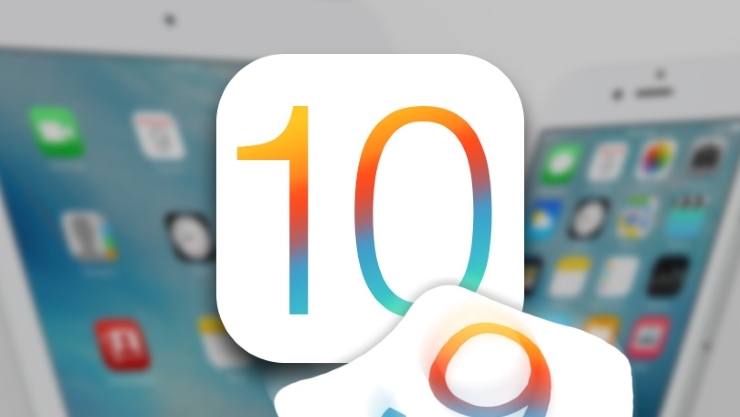 By the time, pangu do come out with pangu 9.1 jailbreak, otherwise, it may be rendered useless, because apple has likely already patched the loophole which based for pangu 9.1 with the iOS 9.2 official released operating system. As its result, the latest pangu jailbreak tool does not work with above iOS releases to iOS 9.1. Well, let’s we talk about Pangu 9.3.1 and its possibility. Comes with new cydia installer. Easy-to-use mechanism with few steps. Its release date is the famous rumor at this moment. 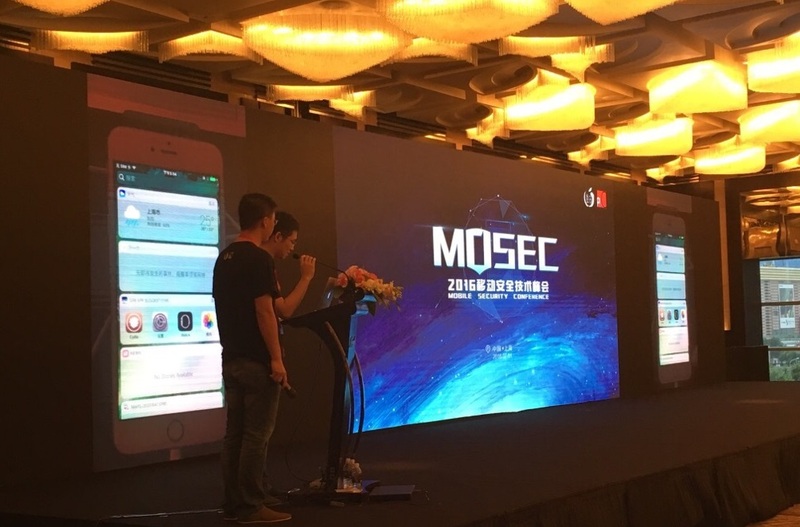 According to lots of reports, iOS 9.3.1 jailbreak tool takes to release a date in month of June before the apple’s annual conference, WWDC 2016. So now we are waiting for an official confirmation about its release date. 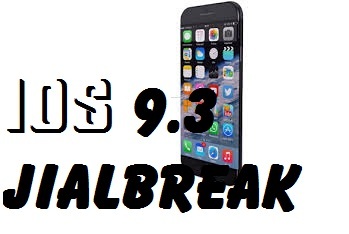 Meanwhile, some jailbreak reviewers say that hackers are working iOS 9.3.2 apart of iOS 9.3.1. Even, as we were waiting for jailbreak, hackers were waiting for iOS 9.3.2 release. All those are rumors about the upcoming jailbreak solution. The last pangu jailbreak tool released for iOS 9.1. So if you are on iOS 9.1, you are the lucky person, because you can get the advantage from the new tool release. But for those who have iOS 9.2 or above version, then downgrading is no longer possible, it means, now you can’t downgrade. So you should need to wait patiently for the new jailbreak comes out. Now you can download Pangu jailbreak latest tool for iOS 9.1 from our page and then follow its instructions to install cydia on your device. Important note : Some reporters have reported that found a way to jailbreak iOS 9.3.1, iOS 9.3, iOS 9.2 and iOS 9.2.1. Also, they have provided links to download those jailbreak softwares. Do not ask to fix your brick device after using those fake softwares, because we repeatedly say that still there is no any official tool to jailbreak iOS 9.3.1, iOS 9.3, iOS 9.2 and iOS 9.2.1. So wait with us along. As we promised, our article will be update with real download links of real jailbreak softwares when the tool out officially. 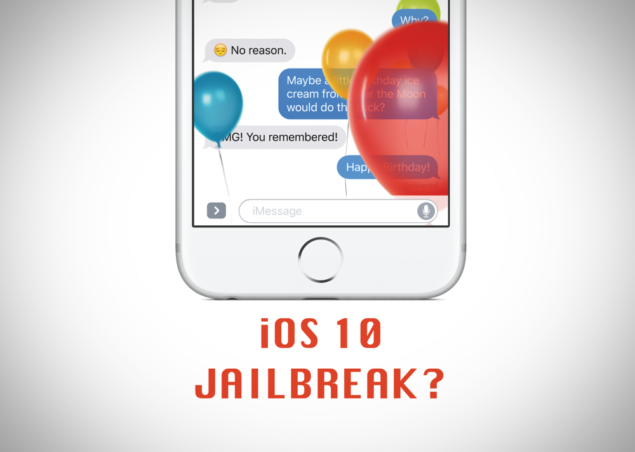 Apple device users have not stopped hearing for jailbreak tools since after ios 9.1 jailbreak. They are not satisfying with the ios 9.1 jailbreak. They need more for their device .Meanwhile, I have heard that apple was released another version to their apple family. It as enclosed so many extremely ideal features. Therefore, all the apple users are really lucky to have version like this at the good time. Make sure you will be finding a proper ios version to jailbreak your device quickly. I meant that ios 9.3 jailbreak version. It ios not with us Currently But it will be soon for us. There is a Problem called you protracted. You cannot wait more days till it released. Pangu has been working very hard for ios 9.1.So you can hope them will be able with ios 9.3 very soon as Possible. Apple had released many beta versions officially to the public. Last beta version was released with numerous Fixes and Supportively. apple has attempted to oust the ios 9.1.Because they need to Killed Pangu jailbreak By patched two vulnerability in ios 9.1.But you not to worry we can believe wit Pangu ios 9.2.because they are the leading jailbreak team in the jailbreak community recently. Pangu is applicable with ios 9 series. Therefore, you can stay with Pangu as better jailbreak option till ios 9.3 will release. Because Pangu is the one tool among all other jailbreak tools, we cannot assume who is the next jailbreak developer in the Jailbreak community. Since, Pangu has surpassed all the Jailbreak tools by showing their possibility. On the other hand Taig is the second leading jailbreak tool with the possibility of jailbreak ios 8.4. Therefore, we can believe with both jailbreak teams, you can expect advanced multiplier for your iPhone, iPad, and iPod Touch device. They do not take whacking period to released jailbreak ios 9.2.Pangu always tries to make their Customers satisfaction. Therefore, I hope that they have been released Pangu ios 9.3 as usually they did earlier. According to the latest Reports, Most of the reputed developers on the jailbreak scene have supposed to focus their efforts on the expecting jailbreak release of ios 9.3.However, happiest news, will allow granting access to a lot of new features and advancements with better and more stable version of the OS. Apple always planning to enhanced their features against to the Jailbreakers. Therefore, we have to look so many sides of onwards with the process. Upgrade or Downgrade is Non- official process, because apple has not Supports to make Upgrade or Downgrade any ios versions. But you can to do that with easy steps. It can be take time to precede complete Process. In fact, Downgrade ios 9.3 to ios 9.2.1 you will need to download the Proper file. Usually, it may happen 2 or 3 weeks after Apple has offers a New Updates. You need to install the Software that you want to install. Apple has dropped out of Downgrading and Upgrading. So I cannot recommend downloading this. Try to beware these things. It’s been almost half year from Pangu released iOS 9.0 jailbreak. Latest Pangu 9 were compatible for up to jailbreak iOS 9.0.2 and there were no update for iOS 9.1 or 9.2 as we expected. Day by day the possibility of jailbreak iOS 9.2 and remaining versions getting low of interest. May be jailbreakers are keeping their target set on iOS 10 jailbreak. Other thing we can guess is iOS hackers play inside with Apple. because we saw several successful private jailbreaks which never released to the public. The latest one was unreleased version of qwertyoruiop jailbreak for iOS 9.2. qwertyoruiop tweeted out that he has successful untethered jailbreak for iOS 9.2 as well as 9.3 beta 1. Watch his proof video below. Along with the tweet, he also noted that there’s no interest of releasing it to public. In other hand what we have to think is they passed their exploits to the Apple without releasing public jailbreaks. meanwhile Pangu and Taig who is pioneer in couple of previous jailbreak tools keeping extremely silence. Initially Taig announced that they were capable of jailbreak iOS 9.2 and working hard on developing it. But thereafter we didn’t received any update from both of them. 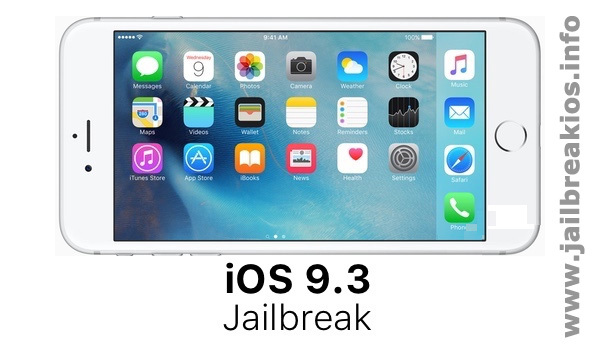 We have one hope that everyone might be keeping their jailbreaks private until Apple announce the final version of iOS 9. it may be iOS 9.3 or 9.4. iOS 10 would be definitely hard to jailbreak more than current iOS versions. The silence of jailbreak giants has been prepared a playground for scammers as well. We can see there are lots of bogus firms claimed that they developed untetheres iOS 9.2 jailbreak and up for sale. Such scam sellers will never deliver you a proper product or guide other than mislead and fake tools. In other hand why you want to pay even a penny for anyone while genuine jailbreak tools are always free of charge. We also seen there are many sites provide download Pangu 9.2 and Taig 9.2 software which were never developed or released. It’s strongly advised to stay away from such products because they might harm your devices as well. These kind of scammers are one of the main reason for genuine jailbreak developers keep their jailbreak methods private. We can see that clearly in qwertyoruiop video above. Anyway we hopefully waiting for iOS 9.2 or 9.3 jailbreak very soon. Proper jailbreak tool is a must keep the jailbreak community alive. If you have updated iPhone, iPad or iPod touch into iOS 9.2? Well, you have to try the newest experience called vShare iOS 9.2. Vshare is the awesome app that allows apple consumers to install lots of new cydia apps without jailbreak. Actually, it is the great offer for you. So we thanks to Vshare developers. As you know that still we cannot jailbreak iOS 9.2 and still waiting. Usually, you should be jailbroken your iPhone, iPad or iPod touch to download cydia tweaks and apps. We know that, you really like to download any kind of apps, games, tweaks, themes and more, but when you haven’t jailbroken iOS device, it really matters to download and install them without jailbreak on your device. Although, no need to worry about. Now you can download your favorite apps, tweaks, games through vShare on iOS 9.2.
vShare iOS 9.2 is a really a nice application that has found the way to get any of your favorites on your device without jailbreak. AppVV is the developer of this wonderful application and we like to thank again because during this period vShare is the useful app to download our favored. You will be able to install ShowBox, MovieBox, PopCorn Time, PlayBox HD GBA4iOS and other great jailbreak apps through vShare on non-jailbroken iOS 9.2 devices. vShare iOS 9.2 is coming to your iPhone, iPad and iPod touch with the support for un-jailbroken iOS devices. AppVV is working for vShare iOS 9.2 and after you are capable of installing free apps as well as Nintendo DS game emulator, SNES4iOS and Emu4iOS game emulators without jailbreak. vShare is the a great alternative to cydia as we seem. vShare developer AppVV introduced new features in their new edition that support users to install useful apps easily. So vShare become one of the most popular application among most apple consumer. Some users do not like to jailbreak their devices, but they like to modify their devices. They can use vShare without any problem to modify their devices with new cydia tweaks and apps. Open Safari browser on your iOS device and go to the vShare official server. When the web page fully loaded, you will find “Download Unjailbroken” button. Next you will see the popup warning message. You can ignore it and then click on “Install” button. Now vShare will start to downloading on your iOS device. When it finished, you will see the vShare icon on your device home screen. When you open the app in the first time, you will see the warning, but do not worry about. Ignore it and click Trust button. Now vShare iOS 9.2 lets you to download your favorite apps, games, tweaks and more. Enjoy with vShare and do not forget to share your experience with us. Are you like to spend your life time with your favorite movies and TV shows, then here is the tutorial to install moviebox iOS 9.2 to your iPhone, iPad and iPod touch. It can be downloaded without jailbreak. So it is the ultimate media app to watch or download your favorite TV shows, HD movies and music videos. Let’s we go through the moviebox. Moviebox is not like a movie application, but it is great service for any consumers who are using iOS, android and PC. Actually, it is a gift for people who love to spending their full day with films. Now you haven’t any worries to watch your favorite films with your iOS or Android device. We can suggest the best application to reach your purpose, that is Moviebox. It streams latest TV shows and movies without the penny. You can watch your any favorite stuff with your android or iOS device at your home. No any limitation and you can see unlimited movies and new TV shows within your phone. Because of features of moviebox nowadays most people are searching to download moviebox iOS 9.2 on their iPhones and android phones. No any matter what type of phone now you are using, you can install Moviebox application on various devices. 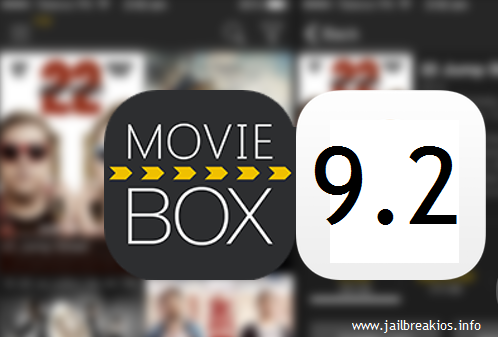 As formerly mentioned, moviebox iOS 9.2 is available to download on various platforms such as android and iOS. If you are using the android device, now you can download moviebox if you follow below instructions. If you already downloaded moviebox iOS 9.2 on your mobile then you can save your hard earned money and time with moviebox, because it allows you to download your favorite TV shows and Movies for free and you can watch it later after saving. Moviebox application is another gadget of the present technology. It is the supply good amount of content. Now I am going to commit the way to install moviebox iOS 9.2 on iPhone or iPad to have a big fun with your favorites. Download moviebox iOS 9.2 along with our instructions. You can play your most favorite videos with TV shows in high and low quality on your iPhone. Moviebox iOS 9.2 can be downloaded from the site which is official. You will see the result and then click to download and then install it. If you are receiving the message ‘Unable to download app’ then please try again later. Callbar is the one of the most popular cydia tweak for your iPhone, iPad and iPod touch that you should not miss out. With callbar you can combine with SMS, calls or any other thing without exiting from running app. No need to retire from your running event and at this same time you can pick up call or reject it using callbar. Actually, it is the great offer for you. Most fans are asking that callbar for iOS 9.2, but still we unable to download callbar iOS 9.2. But we hope it so soon. Since iOS 9 jailbreak tool has released, a number of cydia tweaks and apps have been updated to customize iOS devices. When we prepare our favorite cydia tweak list, do not miss to add callbar. 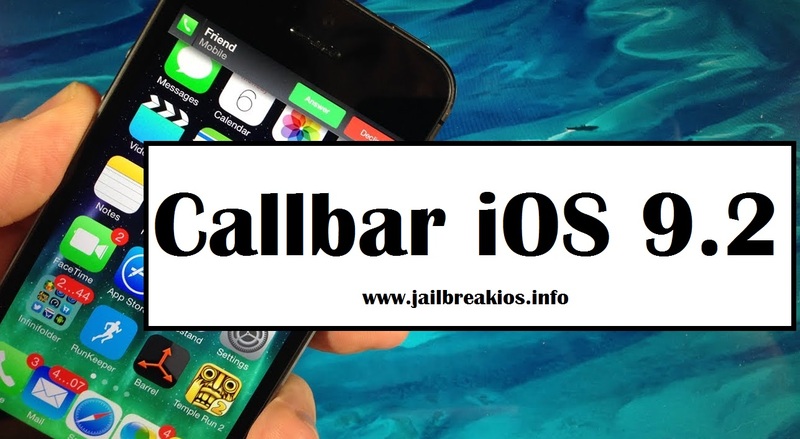 Your device should be jailbroken to get callbar for your device and it will very important for you. When you are working on a very important document on your phone, sometimes your friend will call you. Usually, you will be angry. But now no need to worry about it and continue your work or answer the call without existing your important event. Callbar contains almost key functions to call settings or logs. You can simply go to the contact list, access log, voicemail and dialer with callbar. If you planning to do a multitasking, callbar is the best one at this moment. It can be used to change your way of calling. It can be downloaded after pay $3.99 costs. But it will useful than this cost in your life time. As I mentioned, usually, you should stop your work to answer, dismiss or decline a call. But now you have the best app called callbar. When you receive an incoming call callbar showing a banner notifications. Wait with us along. We will meet again with Callbar iOS 9.2 so soon.